What follows is the text of a speech given by Barry Knight at a one-day conference in Blackpool on 22 March 2019. 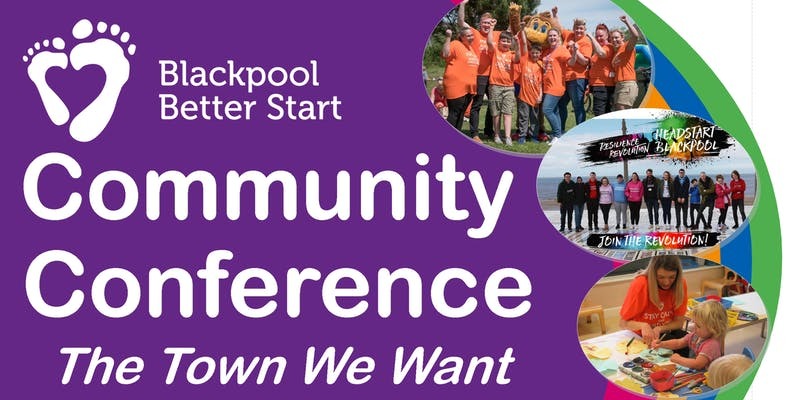 The objective of the conference was to ‘discuss with local people the Blackpool that they want for themselves, their children and grandchildren … and to encourage local people to identify what skills, knowledge and insights they bring to helping to create that future’. In this talk, I will be drawing on Rethinking Poverty and The Society We Want. These publications describe extensive research about how to make progress towards social advance using wide-ranging and eclectic research methods conducted by many different organisations. The research formed part of the spend down of the endowment of the Webb Memorial Trust – around £2.2million – over a five-year period from 2012 to 2017. The research was undertaken because progress on reducing poverty had stalled, old ways were not working, and the field appeared stuck about what to do. The intention was to develop new ideas. Following closure of the Trust in 2017, we are using the Trust’s remaining resources to develop a hub called Rethinking Poverty. We are joining with many others in civil society to work together to develop a new organising principle for our society. We cannot look back to the days of the 1940s Beveridge welfare state or the 1980s free-market approach that replaced it – and is now driving us to destruction through unacceptable levels of inequality, while leaving many places, Blackpool included, behind. I am going to draw on the experience of another coastal city that people write off. While it fares badly on many social indicators, a programme of asset-based community development using the hashtag #thehullwewant is transforming attitudes and bringing new energy and hope. There are a growing number of places following this model with the hashtag #theplacewewant. But first we must acknowledge the mess our society is in. Progress on poverty reduction stalled in 2005 and is now going backwards. The prevalence of foodbanks is one sign of this; the increased visibility of homeless people on our streets is another. The government is doing little. Since 2010, the Joseph Rowntree Foundation has produced 510 reports on poverty urging the government to do something, but with no discernible effect. The most recent one, published in December 2018, was rejected out of hand. The situation appears insurmountable. When we started commissioning work in 2012, we began with a series of think-tank reports. They were useless because they focused on yesterday’s solutions and suggested going back to Beveridge. In the context of austerity, this was a solution that would never get off the ground. We then tried to explode the ‘myths of poverty’. We believed that if we could expose the truth that the causes of poverty are structural and not to do with feckless individuals, we would gain the material for a communications campaign to change public attitudes, and that would in turn mean that people would vote for a programme of poverty reduction. Again, it didn’t work because we found through extensive focus group work that facts don’t change people’s minds; if anything, they reinforce previously held views through ‘confirmation bias’. The poverty debate was (and remains) angry and fruitless. We then looked at what worked to reduce poverty. We found little academic work on this and what we did find suggested that programmes typically fail. Labour’s flagship programme ‘A National Strategy for Neighbourhood Renewal’ had little effect. Places like Preston Road in Hull and Hendon in Sunderland are as bad as they were when the programme started. There was clear evidence that top-down efforts to invest in communities almost always fail. Having spent a long time lost in a maze and going down blind alleys, we had four interrelated insights. Our communities are rich in assets but we just don’t see them. Sara Bryson, community organiser of Tyne & Wear Citizens, says: ‘I choose to be a community organiser rather than a politician because the community is where the power is.’ Power is critical; it is an overlooked dimension in programmes that typically merely transact resources rather than transforming relationships. This is far from the growth-based paradigm that has been pursued by politicians of all stripes for the past 70 years. This has resulted in an unequal society that is at war with itself. Fourth, people must be involved in the change. One thing that we learned from the June 2016 referendum is that people have lost respect for elites in society. To change this, we must involve people in the policies and programmes that affect them. The hashtag #ShiftThePower, developed by the Global Fund for Community Foundations, has become a demand that ordinary people take greater charge of their affairs because they are no longer willing to be passive recipients of what the authorities decide. This is an approach that works. If you doubt me, read Hilary Cottam’s work on Radical Help. The four steps described here are not an easy path and will take time. But there are opportunities based on the work of the ‘Centre for Early Childhood Development’ and ‘A Better Start’. This demonstration project gives local people the opportunity to build what they want and need, not what conventional approaches deliver. At the end of the programme, there could be considerable community assets, agency and trust to build the kind of place that offers good opportunities for children. Barry Knight, 22 March 2019. Rachel Wearmouth (2018) ‘We are always in the wrong top tens: How austerity has hit the Vegas of the North’, Huffington Post, 10 September. A little less conversation a little more action please!